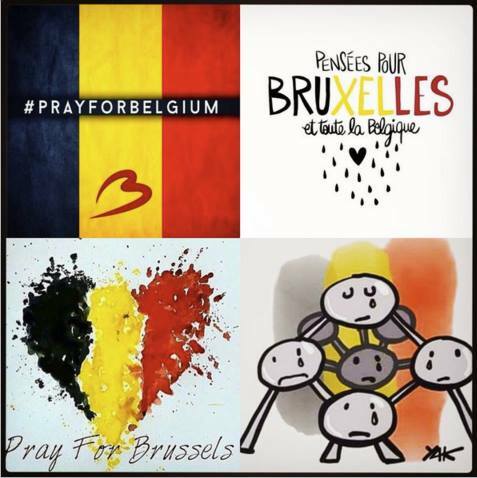 Lord, we pray for Belgian police who are, at this moment, tracking down a suspect. We pray for those who lost loved ones in today’s terror attacks, who, at this moment, are watching their lives seemingly fall apart. We pray for those who are injured, who, at this moment, are crying out for the healing of their bodies and hearts. We pray for the people of Belgium, who are reeling as a nation, rallying for justice and peace. And we pray for Europe, that its nations may galvanize their unity and their efforts as they fight terror. Strengthen, encourage and guide all of them. In Jesus’ life-giving name, we pray, amen.